Close to 2,000 households registered for Parents’ Weekend this year, reflecting a gradual increase in the event’s attendance. In each of the previous three years, between 1,500 and 1,700 households have registered for Parents’ Weekend, according to Office of Special Events executive director Elaine Enos. 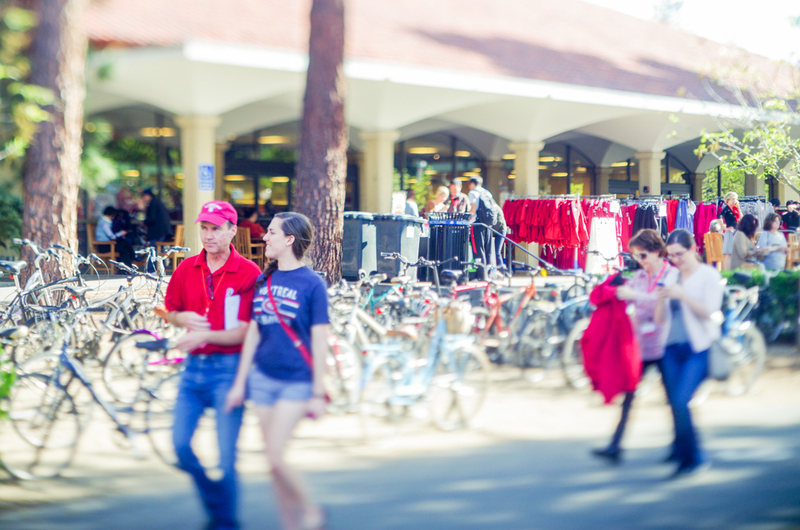 Enos estimated that approximately 3,600 to 3,900 Stanford family members visited campus for this year’s event. “It’s been really exciting to see the level of turnout that we’re having,” she said. Enos said that 51 percent of registered attendees were related to the Class of 2017, and noted that grandparents and siblings have constituted a growing percentage of the total number of attendees. The programming of Parents’ Weekend remained unchanged from previous years due to the continued interest in particular events, according to Enos. Many parents expressed their appreciation for the chance to have questions about the University answered by administrators and faculty. Enos also noted that the University made sure to offer “Back to School” classes — those offered to parents during Parents’ Weekend — that came from different areas of studies and from professors that haven’t taught a class to parents before. Class subjects are often chosen to reflect topics that are trending at the time, either geographically or in a given area of research. Enos added that these “Back to School” classes are often very popular and serve as a principal draw for parents visiting campus. 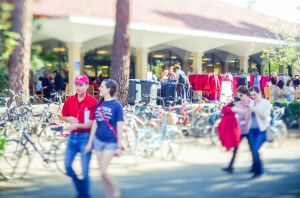 Enos expressed particular pride in the resource fair that was set up near the Parents’ Weekend registration tables at Arrillaga Alumni Center. The fair included more than 20 organizations that addressed various aspects of campus, ranging from Commencement and the Vaden Health Center to sororities and overseas travel. Other programming offered during Parents’ Weekend included tours of the Cantor Arts Center, the Jasper Ridge Biological Reserve and the Stanford Linear Accelerator Center (SLAC). Open house tours were expanded to incorporate other labs like the Volkswagen Automotive Innovation Lab (VAIL). Of course, for many parents, spending time with their Stanford student was a priority. Contact Catherine Zaw at czaw13 ‘at’ stanford ‘dot’ edu.